As the movement against sexual harassment continues to sweep through the Western art world, it has found few echoes in Asia. Certainly, the problems of #MeToo exist here, as the recent assault allegations against the Chinese art professor Gary Xu Gang show, but time is far from up as the battle for equal rights for female artists remains nascent. A snap survey by The Art Newspaper of exhibitions in Hong Kong this week finds 144 male artists showing compared with 51 female and one transgender artist—a disparity that would be even more glaring were it not for the massive group exhibition, A Beast, a God, and a Line (until 20 May) at Para Site. Featuring 25 women to 33 men, it is a rare show of balance in its exploration of politicised religion and its impact on women. That show singlehandedly lowers the predominance of male artists this week from a whopping 85% to a slightly more balanced 80%. 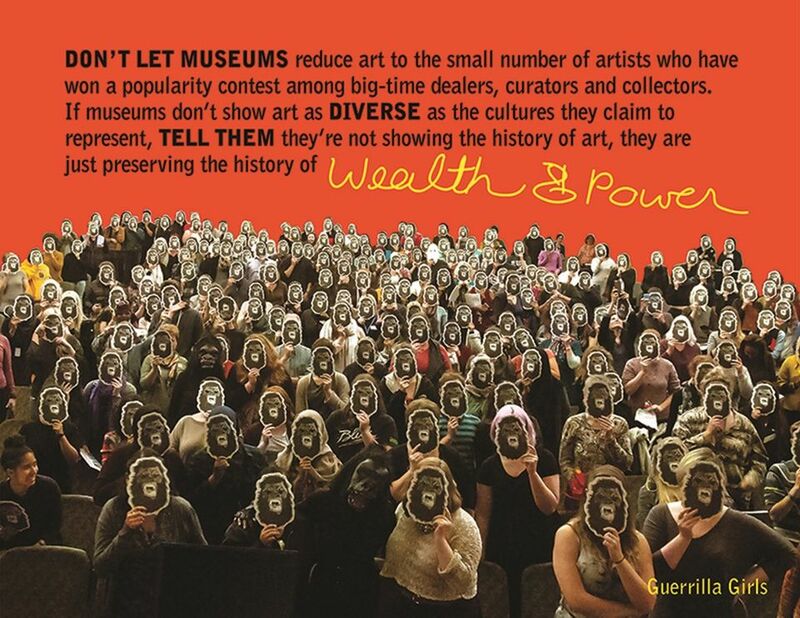 This week also brings the US art provocateurs, the Guerrilla Girls, Inc, to Hong Kong to take over Asia Art Archive’s (AAA) booth at Art Basel in Hong Kong, and take part in a talk on gender politics in art with artists Yurie Nagashima, Nilima Sheikh and Yu Hong on 30 March. It is their first time in Hong Kong or Asia. At the fair, the group is showing the results of their gender survey of last year’s edition of Art Basel in Hong Kong. It concludes that 76% of the total artists shown at the fair were men, 37% of galleries showed no women at all and 29% presented only one female artist. The group is now asking the public for help to gather the figures for this year’s edition. John Tain, the head of research at AAA, says: “The Guerrilla Girls are expert at using facts and statistics with unrivalled wit and humour to combat inequality in the art world, and in a way that generates conversations rather than closes them down.” Their project also features archival material from India’s Autonomous Women’s Movement, Pakistan’s Salima Hashmi Archive, Joan Lebold Cohen’s 1990s portraits of Chinese women, and a survey of female artists in Asia. Low though the female representation is this week in Hong Kong, in many Asian scenes the gap yawns even wider. In mainland China, none of the top sellers are women, and even critical favourites such as Cao Fei and Yin Xiuzhen get fewer solo shows at museums. While China’s rising younger generation evidences more balance, feminism and women’s rights remain almost as taboo in the art world as in the larger polity. 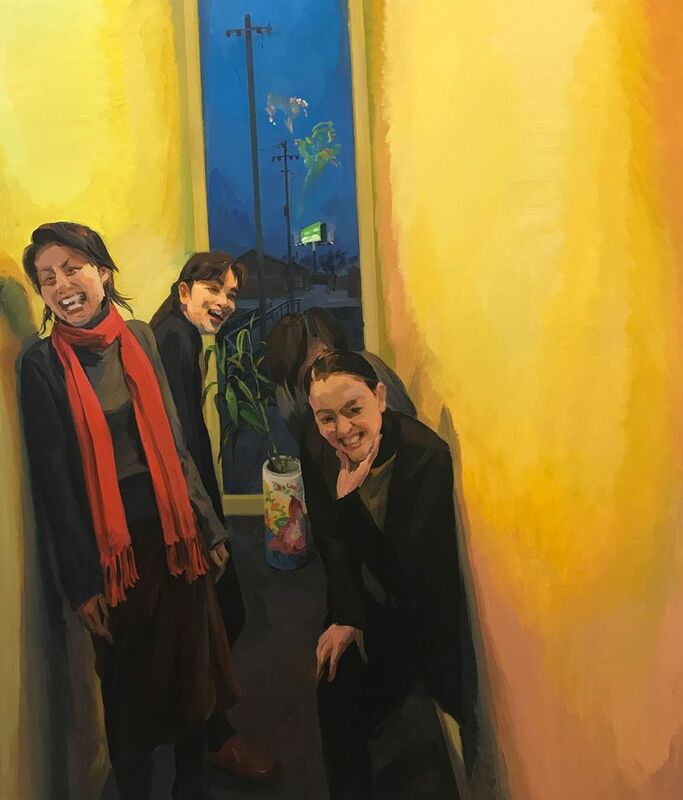 Still, last week Beijing’s Taikang Space opened Genders Engender (until 19 May), a show of nine artists or collectives from greater China including Li Shuang, Ma Qiusha and Xiaoshi Vivian Vivian Qin exploring gender issues. Teo says the discourse has since shifted, and there are many “up-and-coming female artists of the post-80s generation” who have had several solo and group exhibitions in China and abroad. “They are more willing to directly engage with questions of gender and sexuality, and this might also have to do with social media bringing debates over such issues to the wider public sphere,” she says. Though underrepresented proportionally, many of Asia’s leading female artists get a fair showing by galleries at Art Basel in Hong Kong this year. The South Korean conceptual installation artists Lee Bul and Haegue Yang are showing respectively at Lehmann Maupin and Kukje. Likewise, look out for Filipina installation sculptors: the winner of the 2015 Hugo Boss Asian Art Award, Maria Taniguchi, at Silverlens, and Isabel Aquilizan and her husband Alfredo at STPI. The women of mainland China are also making their presence felt. These include the painter Yu Hong at Long March Space, who is speaking on 30 March with Yurie Nagashima, Nilima Sheikh, the Guerrilla Girls, John Tain and Yeewan Koon about feminist aesthetics. Beijing Commune is putting women first, with Lu Yang in the film sector and Hu Xiaoyuan, Liang Yuanwei, Ma Qiusha and Yu Ji in its booth. Don Gallery presents the Shanghai-based Zhang Ruyi, a rising star for her contemplative, minimalist installations. Anything but minimalist are Wang Xin’s flashy installations and performances, often satirising the art world, at de Sarthe Gallery, which is also showing Lin Jingjing. Magician Space’s booth includes the Beijing-based painter and video artist Liang Wei, and Ink Studio’s booth features some of the land-based, often epic sculptures of Bing Yi, also from Beijing.